BALTIMORE, Md. — The Maryland Jockey Club has decided to close a portion of the northern part of the grandstand at Pimlico Race Course for this year's Preakness Stakes. 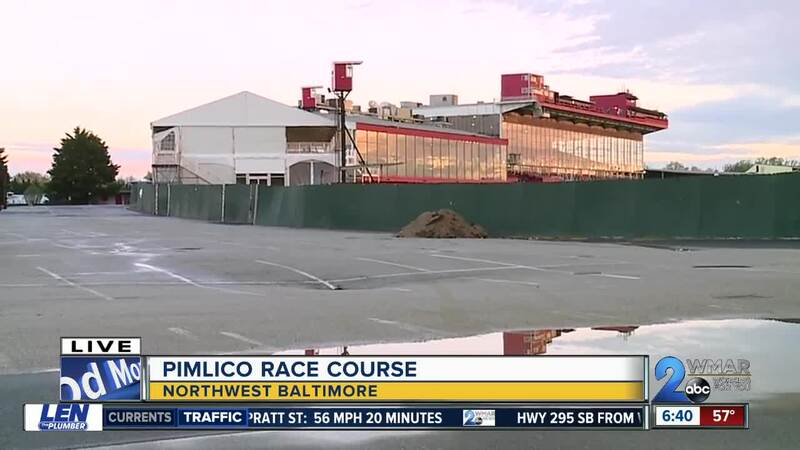 A recent study, that was conducted by the Maryland Stadium Authority, concluded that, after more than 100 years, the Pimlico Race Course had "reached the end of its useful life." In response, the Maryland Jockey Club decided to hire Faisant Associates, a Baltimore based independent engineering firm, to access the facility. Faisant Associates concluded that there has been significant deterioration to the northern part of the grandstand, which is the exterior portion of the facility that's adjacent to the Clubhouse. Being the oldest section of the structure, the northern grandstand is more than a century old with a capacity for 6,670 seats. 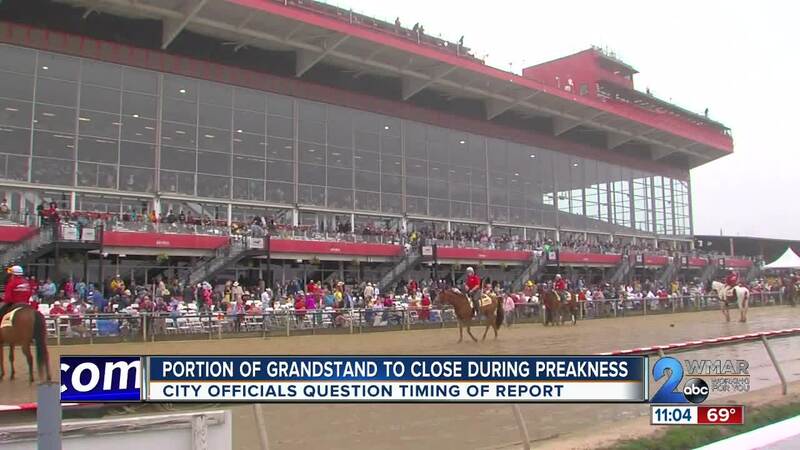 However, it is no longer strong enough to withstand that level of weight and since the safety and security of all guests and employees is Pimlico's priority, the Maryland Jockey Club has made the decided to close that section of the grandstand for the 144th Preakness Stakes. Ex-Officio Mayor Jack Young questioned the timing of the closure. Councilman Isaac "Yitzy" Schleifer is curious if the engineering firm has been hired every year to do this report. The closure will be in effect for the full Pimlico meet, including the Preakness Stakes and Black Eyed Susan Day. "It is deeply disappointing for us and the affected ticket-holders that at a peak moment in time when we generate the most amount of income for the industry, for our company and for all stakeholders, and when we are poised to welcome racing fans to Preakness, we have to de-commission 6,670 seats. As the safety and security is paramount to our guests and employees, this position to forego income should in no way be interpreted as anything other than that." Bill Hecht, CEO, U.S. Real Estate for The Stronach Group, owners of the Maryland Jockey Club. Those who have purchased tickets for that section of the grandstand for this year's Preakness will be able to trade in their tickets at face value for similar seating. Ticket-holders may exchange their tickets by calling 1-877-206-8042 until May 1st.